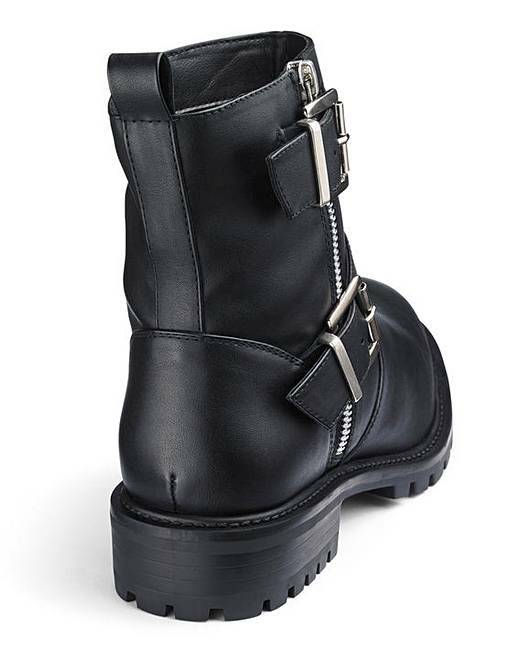 Dela Biker Boot Wide Fit is rated 3.9 out of 5 by 13. 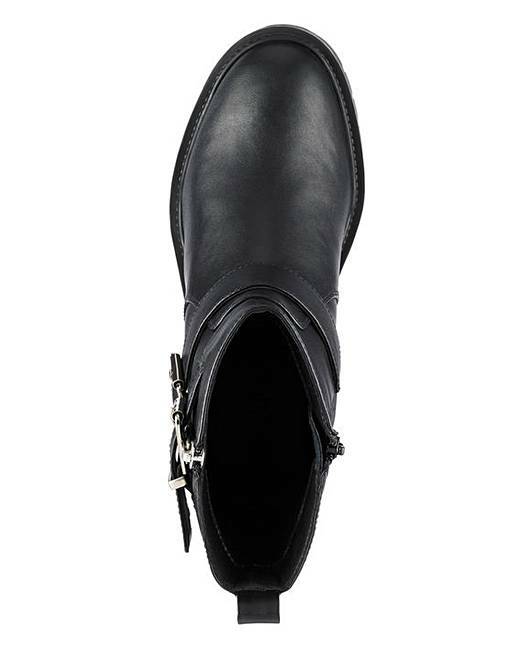 These boots are ideal to see you through to the colder months. 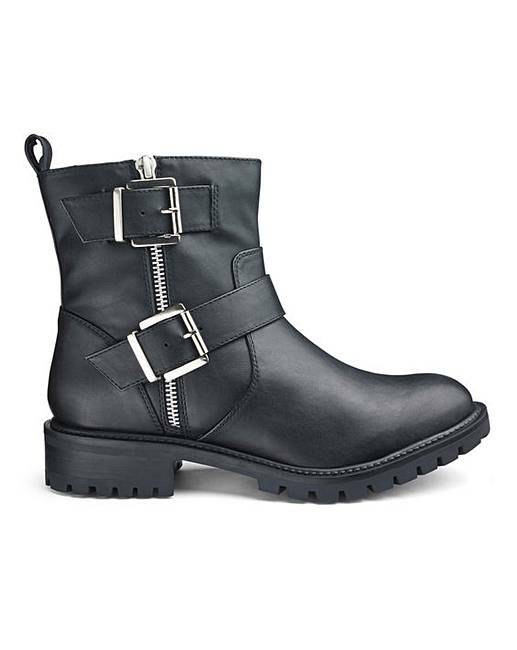 The double-buckle detailing gives them a contemporary biker edge. 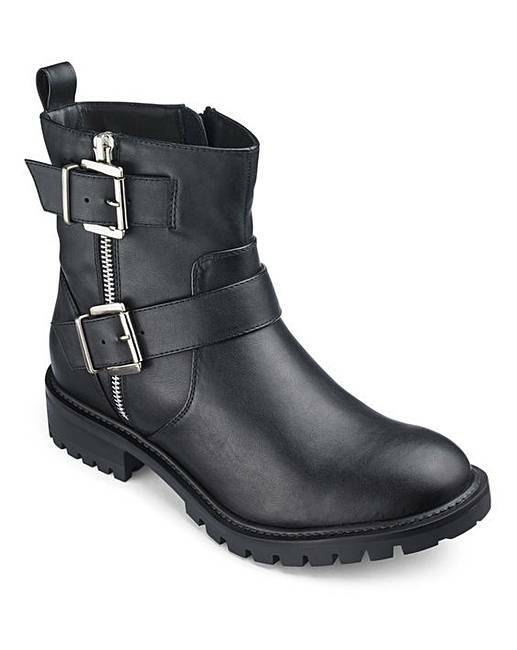 Rated 4 out of 5 by Lelly from Comfortable Absolutely love these boots, bought in size 8 and they’re a great fit and so comfortable for all day wear ! Had so many compliments on them as well and have been great in the recent winter weather ! Rated 1 out of 5 by KazzieH from Poor fit Very disappointed with these boots, the foot size was way too big and the ankle size was too small. Rated 5 out of 5 by Eigna from Amazing boots There aren't many boots that you can put on from the start and wear all day... these were comfy right from the start. They have been through a muddy field and they've polished up really well. I can't recommend them enough. They look good with jeans or leggings. Rated 5 out of 5 by Pinky from Good fit They are my everyday go to boot. So easy to put on and do up and goes with most outfits. Rated 2 out of 5 by GardenParty18 from Narrow pointy boots I bought the wide fitting but it was no good, I sent them back. Shame because they were quite nice! Rated 5 out of 5 by Ltrace from Lovely Boots Great fit, so warm and comfortable and they look great too. Rated 1 out of 5 by Gemzyish from Oh boots how you let me down I bought these boots and the fit was perfect, the style suited me well and they looked great with jeans and boots. I have quite a few pairs of shoes/boots so they didn't get much wear but I loved them. I hadn't worn them for a couple of months but put them on and went shopping. I was walking around for about an hour and realised my foot felt odd and looked down to see that 7/8th of the Solé had come off the boot. I had to find a seat & send my sister to buy me a cheap pair of slip ons. Hugely disappointing.